It’s time to get back to normal. And for me, that means catching up on reviews this week. 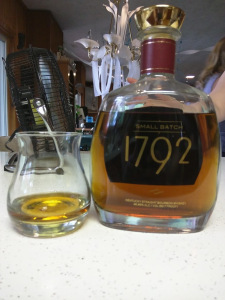 However before I do that, I’ll be reviewing 1792 Ridgemont Reserve, which I purchased for my father for his Birthday. Because I’m a good son (also because I can try some of it). Let’s go with the whole ‘good son’ thing, makes me sound better. Anyway, this bourbon used to carry a small batch 8 year moniker, however has since dropped the age statement and become NAS. Which is too bad. It may still be good, however time will tell. The name 1792 is the year that Kentucky became a state. Many bothans were lost that day.